On Friday, September 8th, we invited our daughters, sons, and relatives, between the ages of 1 and 18, to spend one morning with us. More than 90 boys and girls participated in the interactive learning activities prepared by ICMAB volunteers, to inspire them and introduce them to our research. 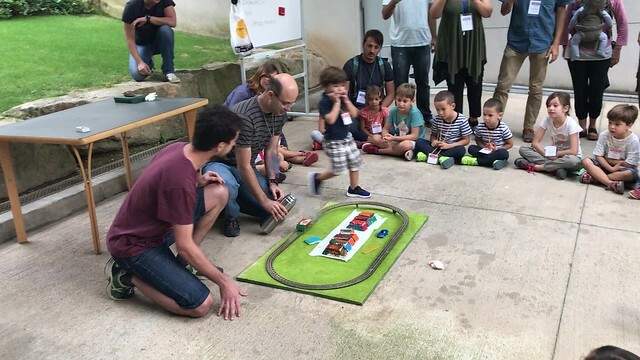 Some activities included experiments with liquid nitrogen, batteries made from lemons or plasticine, memory game with microscope images, sketching the ICMAB building, learning about minerals, a levitating train with superconductors or creating 3D bridges. 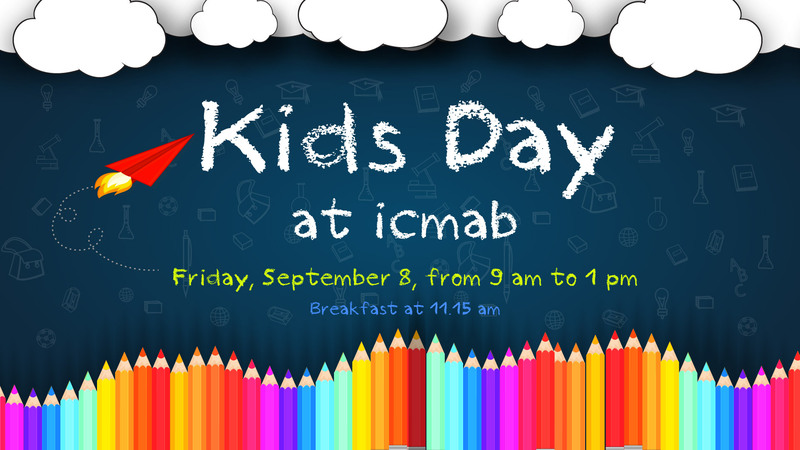 Both, kids and adults, had a great time learning about the research done at ICMAB! The kids left the ICMAB with a certificate of "Future Scientist" and with a big smile on their faces. We would really like to thank all the ICMAB researchers and staff involved in the event. Without them, this wouldn't have been possible.